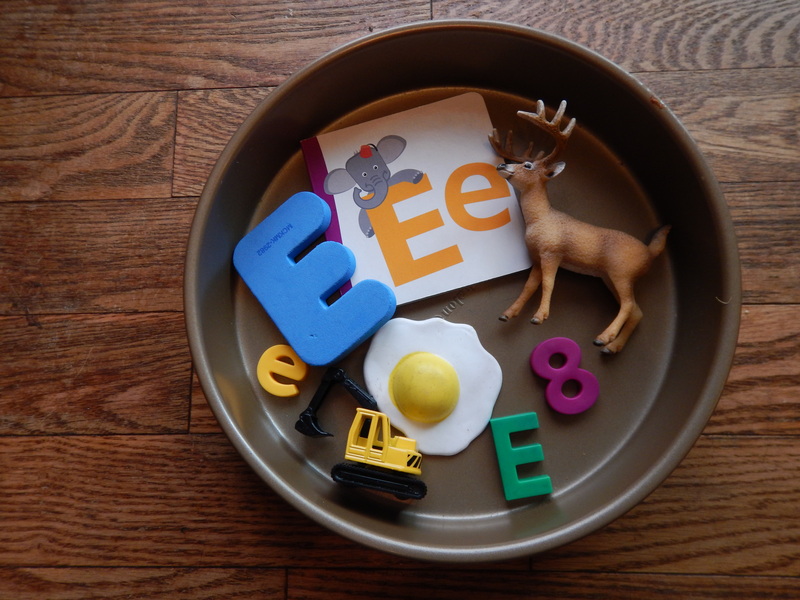 Learning letter is a huge part of a toddlers development and this week we learned about the letter E with some fun activities for my little toddler. We started off with our Letter E tin, which he has grown accustomed to and is usually pretty eager to examine. The letter E bin featured our Letter E book, and egg, the number eight, an excavator, big and little E’s and an elk. We examined each object and talked about them a bit while emphasizing that they start with the letter E. Then we moved onto our activity, an Elephant small world! This was ridiculously simple and easy to throw together in a couple minutes (which is exactly what happened) and was a big hit. I used a really small bin since my guy is pretty small and doesn’t need a huge one, feel free to use any size you wish! 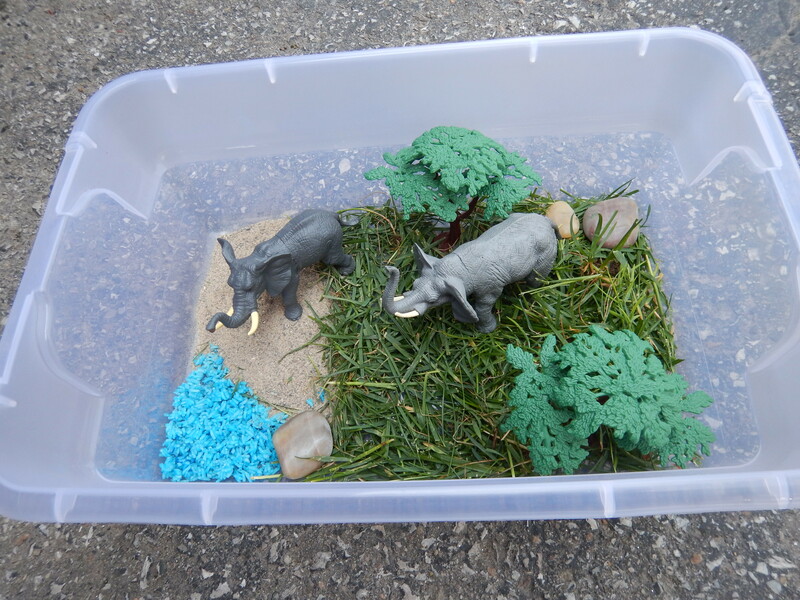 I headed outside and lined it with some fresh grass and sand to which smelled wonderful! Then I used some blue rice I had left over from a previous bin for the watering hole and threw in some rocks. You can make your own dyed rice by checking out Learn Play Imagines post about how to make vibrant, colourful rice of your own! Like I said, this bin is really a small, simple project but it is big with the little ones! 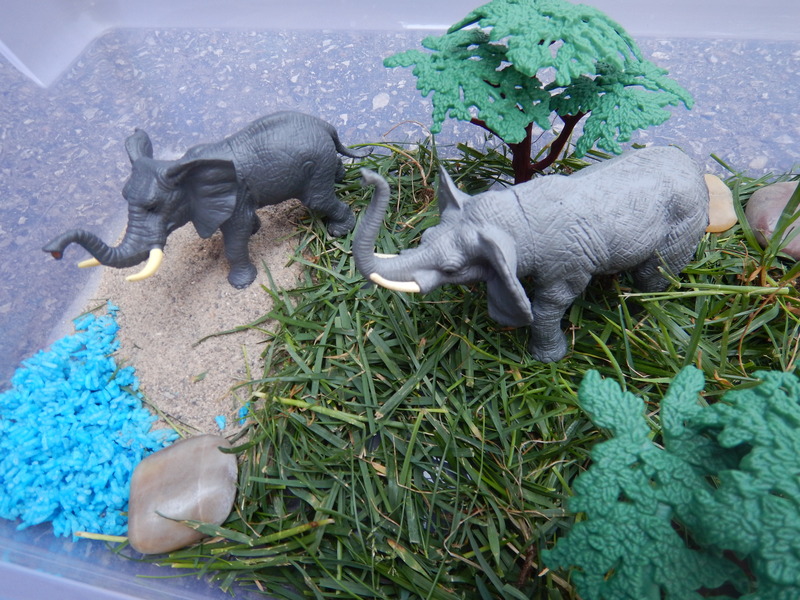 I added some plastic trees and elephants, and it was all ready for my wee man. 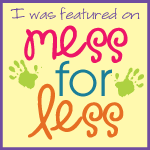 He spent some time making the elephants drink from the watering hole, then in typical toddler fashion started running his hands through the sensory materials and giggling. It no longer resembles a little elephant world, but hey, that just means he had fun! Categories: Learning The Alphabet, Lets Use Our Imagination | Permalink. Thank you, we had a lot of fun with it!